Eric Bogart is the Vice President of Advanced Analytics at Acosta Sales and Marketing. On the western fringe of Toronto in Liberty Village, Mosaic’s offices are nestled within a larger reclaimed warehouse — the shared home of many other businesses. But small might not be an accurate description of the design and experiential marketing firm, having been acquired by Acosta Sales & Marketing in 2016. Acosta is no stranger to acquisitions and is an established firm operating between CPG manufacturers and some of the biggest retailers and grocers in North America. Like many firms who play a consultative role in their industry, Acosta has made recent investments in advanced analytics as a core competency of their enterprise. We sat down with Eric Bogart, VP of Advanced Analytics for an open conversation about his career, the future for AI in retail and the Swiss Army knife nature of his team. Like many analytics leaders today, Bogart can recall what the early days of “data science” felt like, reflecting on the sense of community that exists today contrasted with what it was like in the past. We ask him what’s changed and he lists a few technological leaps. The ease at which he recalls them underscores just how important these two factors have become: the rise of open source and accessible cloud computing. ‘Unthinkable’ would have been a common descriptor for many of the capabilities machine learning powers today. Whether or not the broader promise of AI will live up to the vision it espouses is an ongoing debate. Bogart’s tenure with P&G overlaps with the early days of data science hype. He describes the beginnings of analytics centralization at P&G as a ‘mixing of existing personalities’. He suggested that P&G may not have created ‘data scientist’ roles immediately as they had established identities as analysts. Bogart mentioned an early use case in Operations Research at P&G that reminds us of the optimization problems studied in current analytics hybrid programs like the Queen’s MMA. “I remember one of the first major success stories back in the 1980s was a blending model for coffee. The idea was fairly simple. Different bean types have different flavour attributes and a brand — like Folgers — has a specific flavour profile. So, the model would look up the daily price of individual beans and optimize the cost to deliver a certain profile. At the time, this would’ve been a monumental achievement requiring coordination from multiple teams and substantial IT costs. Today, this optimization problem sounds like something that could be achieved in a single python notebook. Bogart illustrates why that shortening is so crucial in retail. Retail has many broken telephone-esque instances like this due to the siloed nature of how retailers operate. To Bogart, the solution is a question of system design and agile execution. This methodology is what Bogart’s team strives to implement in their own work. Considering the scale of what Acosta does with its store reps all over North America, strong consideration for scalability not only makes sense but is necessary for success. Supporting this work force with traditional analytics outputs like reports and dashboards doesn’t really make sense. So what is the product that empowers an individual rep to address the right problems? Bogart describes a system that generates a curated list of tasks that are informed by data and can be tackled by individual reps.
Bogart never explicitly mentions incentive systems or details on how a system like this would be productionized (perhaps an app), but the underlying idea of decision automation / support for human labour is a compelling example of scalable analytics and automation with human oversight firmly in the centre. We shared an article with Eric that’s made the rounds in the analytics community to get his take on it. He laughs, noting that he’d seen it earlier today — his boss had forwarded it to him. Bogart suggests that AI’s most valuable trait for retail is the flexibility it can create within existing systems and the potential to replace the current rigid, rules-based systems with AI-driven ones. A less sales-pitchy way of saying it is: analytically automating the simpler decision points to the best of your abilities (or within your acceptable error tolerance) can help to expose the parts of the process where human intervention is most valuable. The second key trait of AI that Bogart believes can be better exploited are feedback cycles. These are the bigger picture ideas. There is, of course, mention of the potential of robotics and vision systems that will certainly be disruptive in the future. Bogart acknowledges this as well. The more nuanced side of retail that Bogart alludes to is the world of marketing, forecasting and branding. Broadly speaking, the consumer facing side of the industry. We then chatted at length about the challenge in capturing in-store data, but the sense we got after circling around cool use cases and potential solutions is that, there is really no clear and obvious winning approach yet. A shared sentiment that was echoed in another interview we had with Peter Cuthbert (Director of Customer Loyalty @ Loblaw — article coming soon). Bogart concedes that there is a lot of promise in solutions like these but the right convergence of methods hasn’t been found yet. He identifies one reason why finding concrete value is difficult. If scaling is out of the question, proving value needs to be done with an MVP. But to Bogart, the tradeoff needs to come at the cost of trying to answer a harder question. If we consider a point-of-sale dataset, a small basket could be associated with two different consumers. One could be a simple stock up trip and the other could be a dissatisfied shopper who left without buying everything they wanted. The difference between these two outcomes is that one is a valid mission and the other isn’t. In-store data is the key to separating the threads here. So when it comes to in-store data, it seems the endgame outcome is clear. The difficulty comes from not having a roadmap of the best intermediate solutions along the way. Slowly but surely, it seems like retailers are willing to try things out. Bogart is quick to point out that building a carbon copy of your in-person experience online is not the point.There are retailers with vastly different online and in-store experiences and are majorly successful. 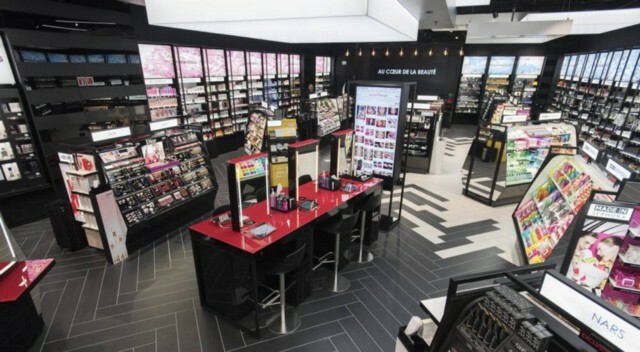 Sephora, for example, adopted a showroom model wherein the retail experience serves a fundamentally different mission — the experience of testing and trying products. It continues to succeed because, while the retail experience isn’t primarily built to facilitate the final purchase, the overall experience of Sephora never gets in the way of it. In fact, reps in Sephora stores can easily facilitate online purchases and are encouraged to do so. Lastly, Bogart makes a distinction about where AI is most effective in this domain. For the latest on articles and events! Interview and publication support thanks to: Mia Meng. Want to learn more about the outlook of retail analytics? Learn more about Acosta here.